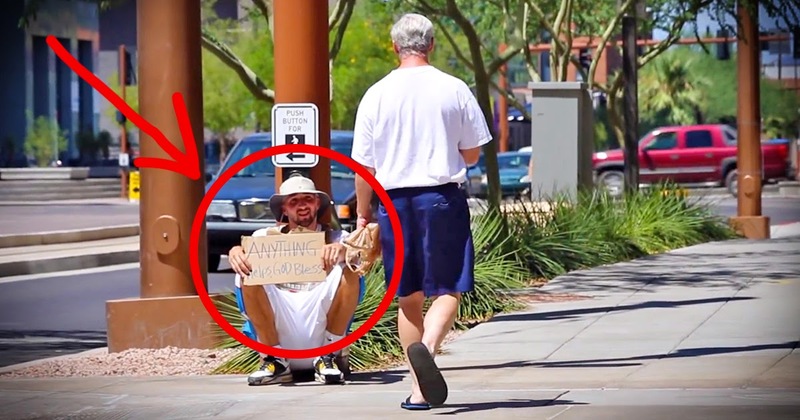 Most People Ignored This Homeless Man, But Those Who Looked Closer Were In For A Surprise! Big Daws is better known for his Youtube prank videos, like eating junking food at a gym and pretending to know strangers. But this time he decided to do something different. He lives in Tempe, Arizona, and found an interesting way to bring awareness to the homeless population. According to the Arizona Department of Economic Security, in 2012 there were 22,350 adults and 5,805 children registered as homeless. That was a 12 percent increase over the previous year. The Arizona Commission on Homelessness and Housing (ACHH) was established by Governor Janice Brewer and is a formal state plan designed to end veteran homelessness by 2015 and chronic homelessness by 2016.